Geneva/Bratislava, July 02, 2018 – Time moves much faster in the tech world than in most other industries. Tech companies can either “make it or break it” in as little as a year, making the first anniversary a major milestone. 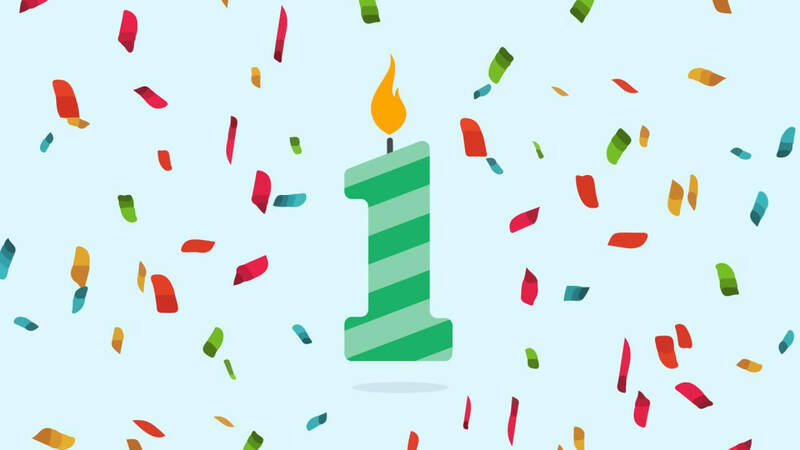 Things tend to be even more accelerated in the blockchain space and blockchain companies like DECENT have every right to celebrate the1year anniversary of their proprietary blockchain platform, DCore. DECENT has a lot to celebrate actually. Their accomplishments added up quickly in a short amount of time. Here’s a quick look back at DCore’s 1st year, from the very first block to over 6 million blocks today. June 30, 2017 marked the launch of DECENT’s proprietary blockchain platform DCore when the very first block was mined. This huge milestone set them for a year of impressive accomplishments. In September, 2017 they won big at the at the European Startup Awards, taking home 2 prizes: the Slovak Startup of the Year Award and Best Newcomer Award. In November, 2017 they organized and hosted our first major blockchain event, the Unchained Conference in Hong Kong. This international event established their brand as a provider of an advanced blockchain platform ready for real-world use cases, and strengthened their ties to the thriving tech community in Asia. February, 2018 DECENT announced a new partnership with Dragonfly and a joint venture blockchain project ALAX which would be built on DCore. Then in March, 2018 they launched a developer specific DCore testnet allowing anyone to create their decentralized vision in a safe, secure and risk-free environment. ALAX became the first blockchain project to take full advantage of the DCore testnet and explore benefits like custom token creation, large file size, extremely fast block creation and transaction time, and so much more. In April, 2018, Founder and CEO Matej Michalko graciously accepted the prestigious Forbes Slovakia 30 most talented people under 30 award! The following month, DECENT hosted the very first Blockchain Pioneers Global Hackathon in Bratislava, Slovakia. This event saw some of the most talented developers, programmers and blockchain enthusiasts from around the world collaborate together to create brilliant blockchain projects. The second edition will be coming to Berlin in July this year. Earlier this month they released a brand new DCore Miner Voting Tool making it easier than ever for DCT holders to participate in ensuring the future of DCore. Also, their website got a complete overhaul with new graphics, information and design layout. The new website refines DECENT’s company message as a leading blockchain ecosystem, providing all of the tools and technologies needed for projects and businesses to build decentralized applications for real-world use cases. DCore had quite an exciting first year of existence, full of milestones, events, and announcements. Considering that as a company, DECENT was founded in 2015 and is still making waves in the blockchain community today, shows promise for the future of their proprietary blockchain, DCore. In a world as fast paced as this one, time can be a significant measure of greatness and no doubt DECENT is making the most of theirs.